It’s that time of year again. Pie in the oven, holidays in the air, and pumpkin spice in (almost) everything. October is National Dessert Month, and I am all for treating yourself! As I’ve written in the past, dessert should mean celebration, not guilt. I teamed up with Wholly Wholesome to bring you this recipe for a vegan, gluten-free apple pie. It has 5 ingredients and takes all the stress out of dessert! No rolling, resting or fumbling with dough. The only decision you need to make is whether to use cinnamon or pumpkin pie spice. This is really easy as pie! Sorry, I had to. 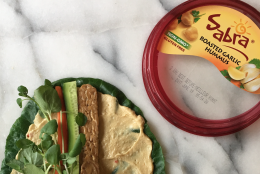 The Wholly Gluten Free line of products is made in a dedicated gluten-free facility, and is great for those with Celiac or gluten sensitivity. This line includes pizza dough, fudge brownies, and (you guessed it!) pie shells. 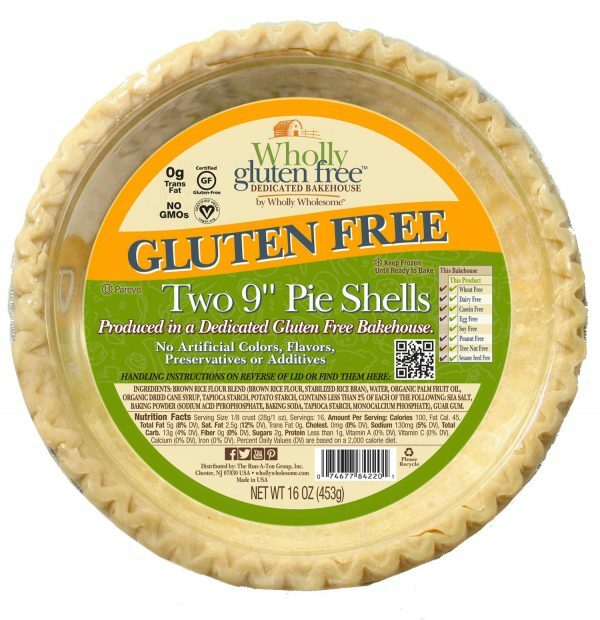 If you are able to enjoy gluten, feel free to sub out Wholly Wholesome’s organic traditional, whole wheat, or spelt pie shells. 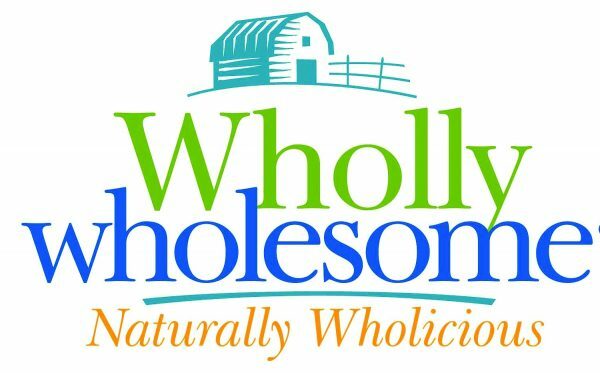 Wholly Wholesome is also inviting you to visit WhollyWholesome.com to vote for your favorite dessert and enter to win a one-year supply of Wholly Wholesome products. 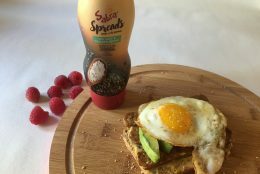 Three Runners Up will receive a six-month supply of Wholly Wholesome products. Good luck and bon appetit! 1. Mix sugar and cinnamon (or pumpkin spice) together in a large bowl. Peel, core, and slice apples, and place in a Wholly Wholesome Gluten Free Pie Shell. The apples will be piled high, but will cook down in the oven. Sprinkle sugar/cinnamon mixture over apples. 2. Cut butter and place on top of apples. Add second pie shell over apples and crimp pie edges. Poke hole in top crust to allow air to escape during baking. 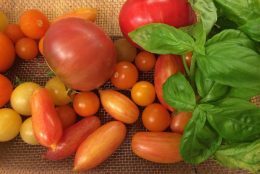 Place pie on a sheet pan and bake in a preheated oven at 375° for 30 minutes or until top is browned. You will know the pie is done when a paring knife can be easily inserted into the center and the apples are tender.